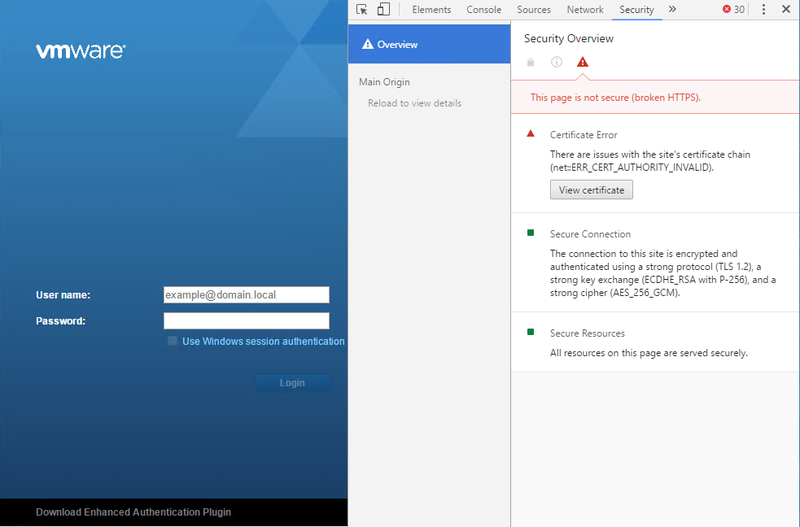 Hi all – a new issue has cropped up in the latest (or later) versions of Chrome involving the vCenter Server Enhanced Authentication Plugin. 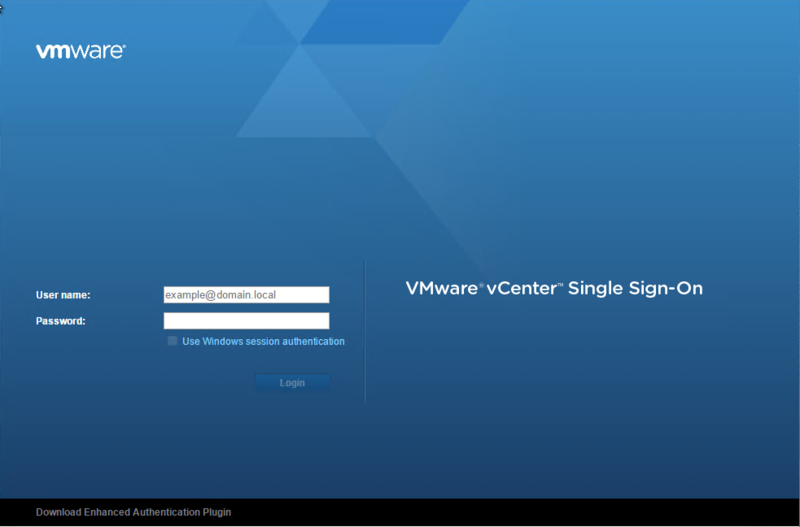 When navigating to your vCenter Web Client (Flash) page, the browser no longer allows you to check the “Use Windows session authentication” box. This is, of course, with the assumption that you’ve already installed the plugin and it was previously working. To fix this, you just need to navigate to https://vmware-plugin:8094 and Advanced and then Proceed. Once you’ve done this, you’ll be able to check the Use Windows session authentication box and carry on as you had previously. I am not which release of Chrome broke this functionality (for the better, honestly) but I noticed it around Version 58.0.3029.110. The truth is VMware needs to reissue a certificate that is valid and I am sure they’ll be doing that with the next vCenter announcement. Let me know if you guys have any issues performing these steps! The only browser capable of using Weblclient for vcsa 6.0 , including integrated windows authentication is google chrome. I’ve read that NPAPI was dropped on all three mainstream navigators and as Webclient 6.0 was not written in html 5, some NPAPI (to display web/audio content) does not function. Installing flash player (with NPAPI support) is a requirement though. That’s not even close to accurate. I use it on Firefox all the time. Thanks for this post. There was an additional item to do for FireFox Quantum (version 60) – go to the vCenter’s FQDN in the browser and click the link at the bottom right “Download trusted root CA certificates”. Install the 2 CRT files in the Local Machine in the Trusted Root Certificate Authorities store. Then following your instructions finally got the integration plugin to work. Great spot. Thank you do much for this, Firefox now working, yay!! Helped in Chrome and in Firefox. I think I figured out my issue with not being able to goto the url is that when I checked the VMware CIP Message Service was not running even though it was set to automatic. I switched it to auto(delayed) and started it and was able to goto the URL and approve the SSL.. I have done everything that has been suggested here but I still got “This site can’t be reached”. Anyone that have some ideas ? Absolutely – just in a sort of broken state with all the support for plugins dropping lately. How do I check to see if this is running or not?